Travel to pagoda in Ho Chi Minh City – Vietnam, you will have the opportunity to enjoy many attractions of Vietnam, learn about the beauty of architecture, culture, Buddhist art. Moreover, you can practice common and methods of Buddhism to take a life of peace and happiness. The pagoda is located in a large area, harmonically combined with architectural art and natural landscape. The pagoda architecture includes three-gate entrance, main hall and lotus throne. The three-gate entrance was built with three floors and tiled roofs, on the tops of swords are attached with stylized lotus flowers, and the rooftop has two dragons. Going through the three-gate entrance, you will come a large yard with various kinds of bonsai which create quiet and cool feelings. Giac Lam Pagoda is one of the oldest pagodas in Ho Chi Minh City. 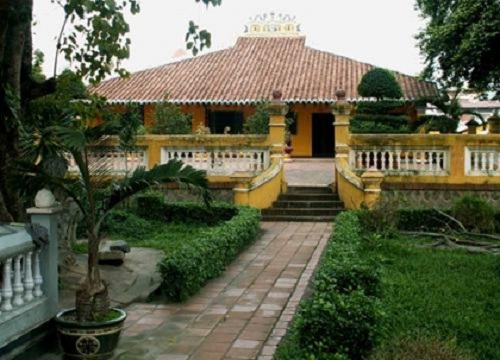 Like many Vietnamese Buddhist pagodas, aspects of both Taoism and Confucianism can be found. Giac Lam is a fantastically atmospheric place set in peaceful, garden-like grounds. Next to the tree stands a gleaming white statue of compassionate Quan The Am Bo Tat on a lotus blossom, a symbol of purity. The area is quite big, which is full of different statues, it’s probably a good idea to take a local with you to explain more about it. Climbing up the stairs in the pagoda is highly recommended; every floor is very beautiful and the view from the top is pretty cool, too. Hoang Phap pagoda is found by the late founder Ngộ Chân Tử Donnie 1957. It was a forest for a long time ago. 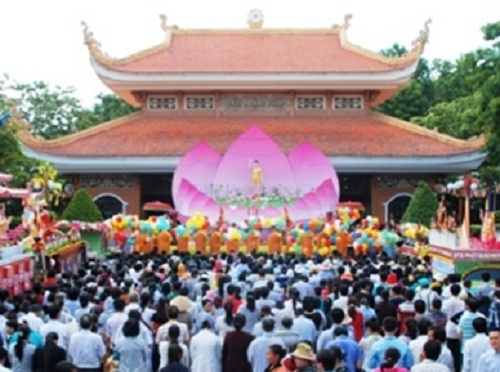 Hoang Phap pagoda organizes many meaningful activities such as: Repentance Ceremony, the Cultivating day for students, ceremony of refuge talking, etc. 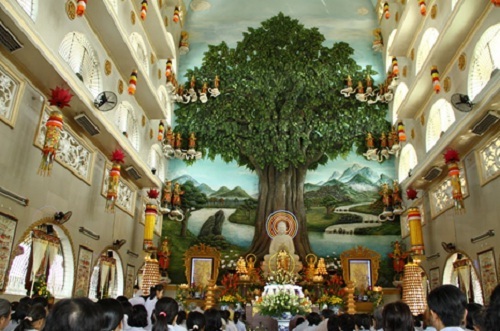 Especially the Repentance ceremony takes places on March 14th, 2014 (February 14th, Lunar Calendar), thousands of Buddhists in Ho Chi Minh City and nearby provinces went to Hoang Phap pagoda to participate in the repentance ceremony in Hoang Phap pagoda. The art of communication is to express in intimate words. Intimate words produce sympathy to partners. In addition, body language also attains successful communication in relationship. A glance, a look or an intimate behavior certainly helps with friendship around. Travel to pagoda is not just for monks and nuns, but also any others who are interested, want to learn about culture and lifestyle of Buddhism, those who wish to have a high spiritual life, spiritual.